The rival leaders of ethnically divided Cyprus agreed Friday to open next month two more crossing points along a United Nations-controlled buffer zone that cuts across the small island nation, in a bid to generate some momentum toward resuming stalled reunification talks. Cyprus President Nicos Anastasiades, a Greek Cypriot, and breakaway Turkish Cypriot leader Mustafa Akinci met Friday for the first time in six months to scope out chances of returning to the bargaining table. Negotiations have been at a standstill since July, 2017 when high-level talks at a Swiss resort again ended in failure. Anastasiades and Akinci agreed after a two-hour, UN-hosted meeting to open the two crossings on opposite ends of the 180 kilometer (120 mile) buffer zone on Nov 12, bringing to nine the total number of crossing points that first opened in 2003. "Theres a common will for peace, stability and cooperation on the basis of what has been discussed until now," Anastasiades said as he arrived at the Presidential Palace after the meeting. No decision was taken to resume peace talks. 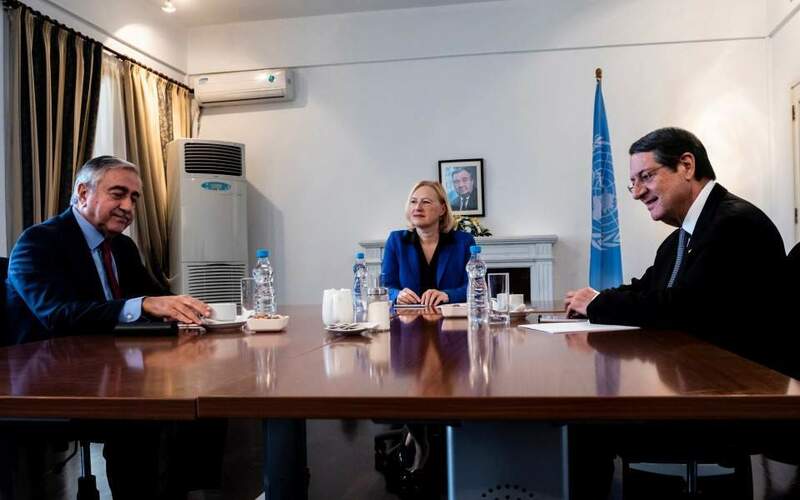 Anastasiades said both he and Akinci await the arrival of UN envoy Jane Holl Lute next week "and the possible proposals that she will bring in order to help with the resumption of negotiations." Lute held an initial round of meetings with both men in July. UN Secretary-General Antonio Guterres said in a report to the Security Council this week that he believes prospects for a comprehensive Cyprus settlement "remain alive" and he will prepare the way for talks to resume. A 1974 Turkish invasion in the wake of a failed coup by supporters of union with Greece divided the island into a breakaway Turkish Cypriot north and an internationally recognized Greek Cypriot south.